A plumbing leak of any kind is a major problem that needs to have skilled plumbers put on the job right away. Even small pinhole leaks can add up to a significant amount of damage if left without attention. 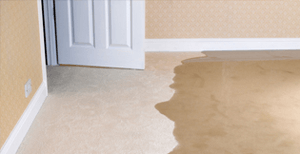 There is one type of leak that is particularly difficult to locate and repair: a slab leak, which allows water to flow directly into the ground below your home. To locate and fix a slab leak in a home, you can’t rely on just any plumbing contractor. You need to turn to plumbers with extensive experience with slab leak issues who can do the job fast using the finest equipment. When you call on Admiral Plumbing Services, LLC, you can rest assured that you are dealing with one of the best plumbing contractors in West Palm Beach, FL. We respond to calls fast, and with our more than 25 years of experience, we will see that your slab leak troubles are quickly solved. The licensed professional plumbers at Admiral Plumbing Services, LLC offer slab leak services in West Palm Beach, FL and the surrounding areas. What Exactly Are Slab Leaks? The term slab leak refers to a leak in a water line down beneath the foundation of a building. It can also mean any leak in a pipe inside hard rock, but for homes this almost always occurs in or below the concrete foundation. About 80% of these leaks happen in the hot water lines, and the rest in the cold water lines. To repair a slab leak, licensed plumbers first use detection equipment to pinpoint where the leak is occurring. This permits them to come up with a plan that will require the least amount of disruptive excavation work possible. Sometimes the plumbers will need to use a jackhammer to access the leak, but they can also put in a bypass pipe to circumvent the leaking section. Slab leaks are common throughout our local community, and we offer a couple of different solutions, depending on the exact circumstances of your plumbing system and the damage done. The first involves locating the faulty section of pipe and bypassing it by running new pipe overhead through the attic to where it would come out the other side. However, in some cases, the best solution is to repipe the entire house. This is the most comprehensive way to avoid further slab leaks in the future. It has the added benefit of eliminating all of the water lines underground so that they go directly to each fixture. This typically takes between 2 to 4 days. High water bills: Always keep a close watch on your water bill so that if it spikes because of a hidden leak you will know about it. The water heater keeps running: Since the majority of slab leaks occur in hot water lines, you can use strange behavior from the water heater as an indicator that something is wrong. If the water heater keeps turning on when there is no demand on the hot water supply, it means that hot water is escaping somewhere—probably from a slab leak. Cracks along the slab: If you detect new cracks across the foundation slab, it may be the result of pressure building up from a slab leak. Sound of running water: Can you hear water running somewhere in the house, but you can’t tell exactly where? Call us for leak detection to find out if a slab leak is the source. Slab leaks have the potential to be destructive, and they will waste immense amounts of water until fixed. Admiral Plumbing Services, LLC will see that any slab leak issues you have in West Palm Beach, FL are repaired. Call us seven days a week to schedule slab leak services.